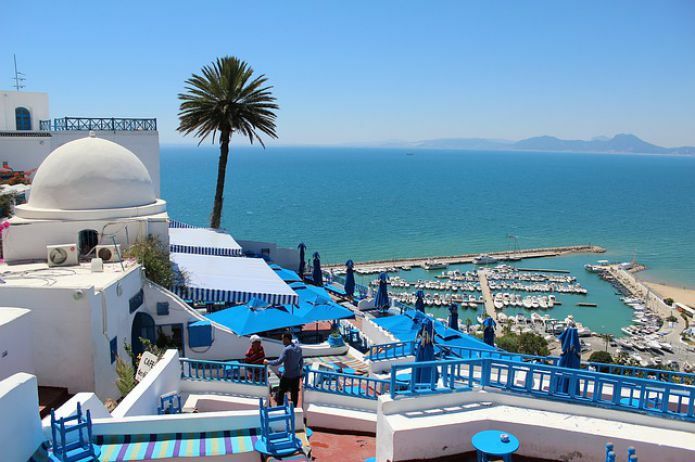 Tunisia, for many years, is a favorite holiday destination and study for many travelers. It offers great conditions for a beach holiday, but still more cultural and historical attractions. Choose the most-most not so simple. Carthage. The Phoenicians, Punas, Romans left their mark on this patch of land. Unfortunately, many places are now in ruins, but there is still something to see. For example, at: the Roman amphitheater or archaeological park, the plumes of Pius or the baths of Gargilius, the cathedral of St. Louis or the hill of Bursa, which was the center of the city during the reign of the Poonas. El Jem. Here are some of the most impressive Roman ruins of Africa. The local amphitheater is the largest in North Africa and is second only to the Colosseum and the Capua Amphitheater. It was erected during the reign of Gordian the First in the 3rd century and was fairly well preserved. The Holy City of Kairouan. According to the cult significance, Kairouan is second only to Medina, Mecca and Jerusalem and is an ideal place to get acquainted with the Islamic history of Tunisia. The main attraction of the city is the Sidi-Okba mosque, which stands out among other mosques in Kairouan. By the way, there are 50 of them. Sbeitla. The Roman ruins of this place are best preserved in the world. The most colorful are: the Forum, the arch of Diocletian, the temples of Juno, Minerva, Jupiter. In Sbeitl, where mythology and history intertwine, one can recreate the greatness of a bygone era. Oasis of Chebika. Known as the "Castle of the Sun", the oasis of Chebika offers unique panoramas, where the main role is played by the heavenly body, which shines here all year round. Not for nothing, films like "The English Patient" or "Star Wars IV" were filmed here. Dougga. The ancient Roman city was included in the UNESCO lists in 1997. Lure for tourists are the local churches of Mercury and Minerva, the Church of Victoria, the mausoleum of Ateban, as well as other valuable examples of the Roman architectural style. Schott el Jerid. This huge area of ​​salt in the Sahara desert is worth seeing, especially if one believes in ghosts, because when the sun shines, the mirages become her main attraction. Bulla Regia. The main attractions of this Roman city, located near Tabarka, are underground dwellings, which were used by residents as a refuge from the summer heat. In addition, here you can contemplate the ancient temples, villas, baths, basilicas, which are distinguished by a peculiar architecture, somewhat different from the traditional architecture of Rome.